Disclosure: The writer may have received a product for free as a condition of this publication. Regardless, all the opinions are those of the writer. Contact frugalshopping1@gmail.com for questions or to have your product featured on this blog. My in-laws live a state away from us which means we don't get to see them but maybe once a year. Either we go visit them or they will come here but irregardless of who makes the trip there is just never enough time together. Sending them gifts can be a nightmare, after all what do you buy for busy people who are always on the go and have limited space? Once we sent some flowers for Mother's Day but found out they were leaving for a trip the very next day so she only got to enjoy her flowers for half a day. Another time we sent a fruit & nut box for Christmas only to be told they only liked 1 or 2 things that were in it. 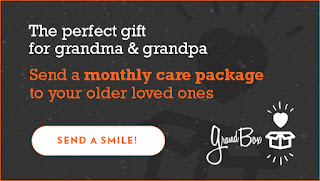 This year I sent them a GrandBox, an original monthly subscription box tailored and crafted particularly for seniors 65 and up. 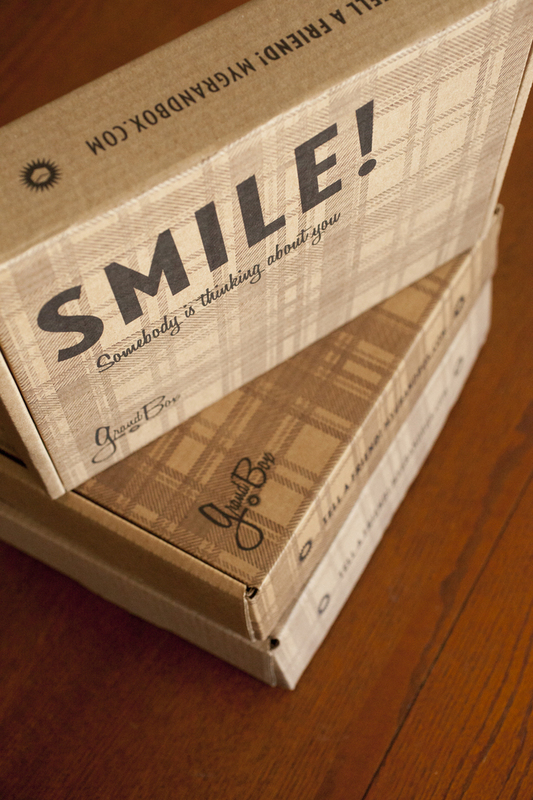 Each monthly box has a theme such as Route 66 or Drive-In Movies. 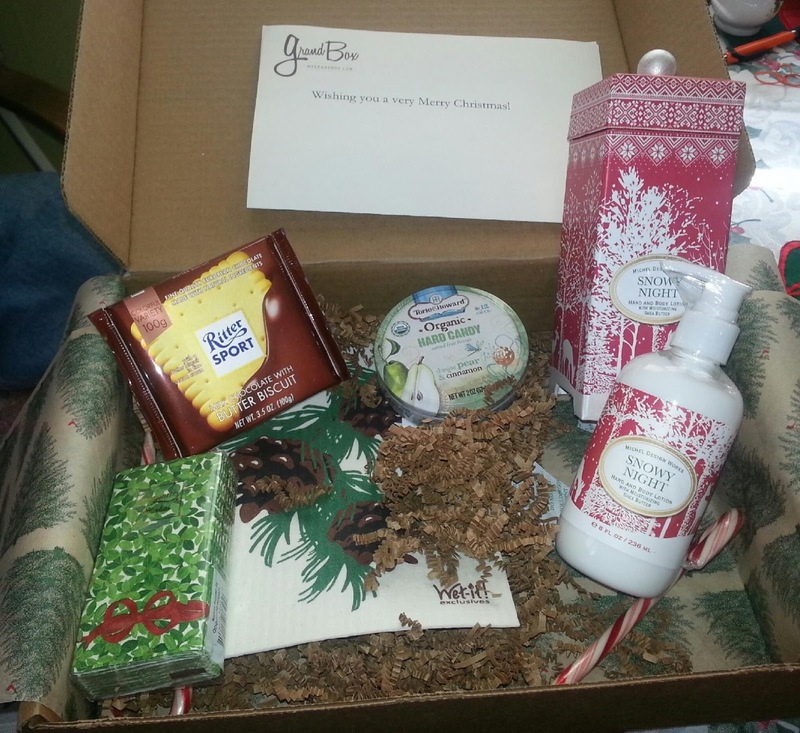 Each GrandBox contains some edibles and useful items. The December box comes with a 8 oz bottle of Michel Design Works lotion, Torio Howard d'anjou Pear & Cinnamon Organic Hard Candy, Ritter Sport Butter Biscuits, decorative Kleenex packets, Wet-it Cloth from Swedish Treasures and a couple of Candy Canes. You can sign up to have one box sent or sign up for a 3, 6, or 12 month plan. Prices start at Each box is sent on the 15th of the month. They will be sending them by the 19th so you still have time to order for the special seniors in your life. When you sign up for GrandBox you are given an option to have a card and photos sent in the box. Imagine your child's grandparents looking forward to getting monthly photos and surprises. 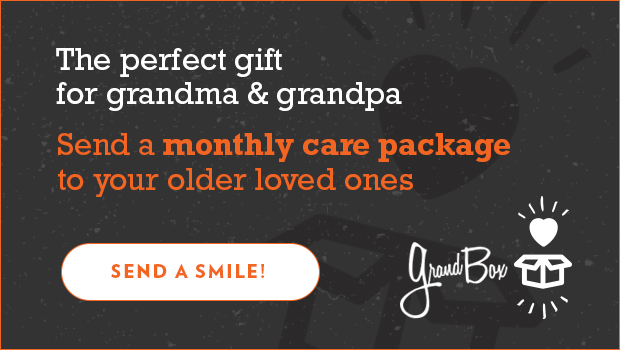 GrandBox, the subscription box for the ones who cared about you. Show them how much you care about them and order yours here now for the Holiday Season! Frugal Shopping and More readers will save $5 on their first GrandBox purchase with code: Holiday5. Click here for more information.